Equity Buy Out Preapproval should also be required by the spouse retaining the martial home if new mortgage financing is required. A refinance due to a divorce is required to remove the vacating spouse from the current mortgage or when the in-spouse needs to buy the equity ownership from the out spouse in cash form. •An Equity Buy Out Preapproval allows the Certified Divorce Lending Professional (CDLP) the ability to account for all income requirements, joint and individual debt, and assets needed to successfully provide mortgage financing. 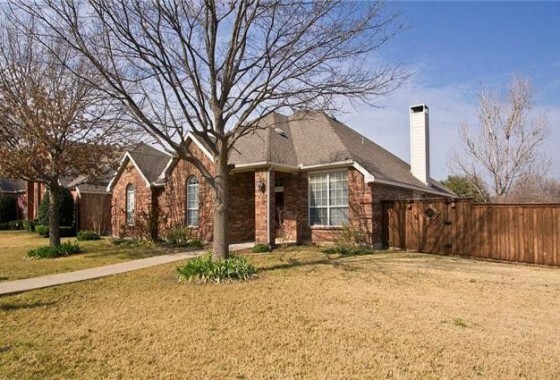 •An Equity Buy Out Preapproval can eliminate the fear of selling the home should mortgage financing not be obtainable by the in-spouse if ordered in the divorce settlement agreement. •An Equity Buy Out Preapproval can prevent the need to return to litigation due to the inability to fulfill the requirements of the divorce settlement agreement. concerns of failure to execute. 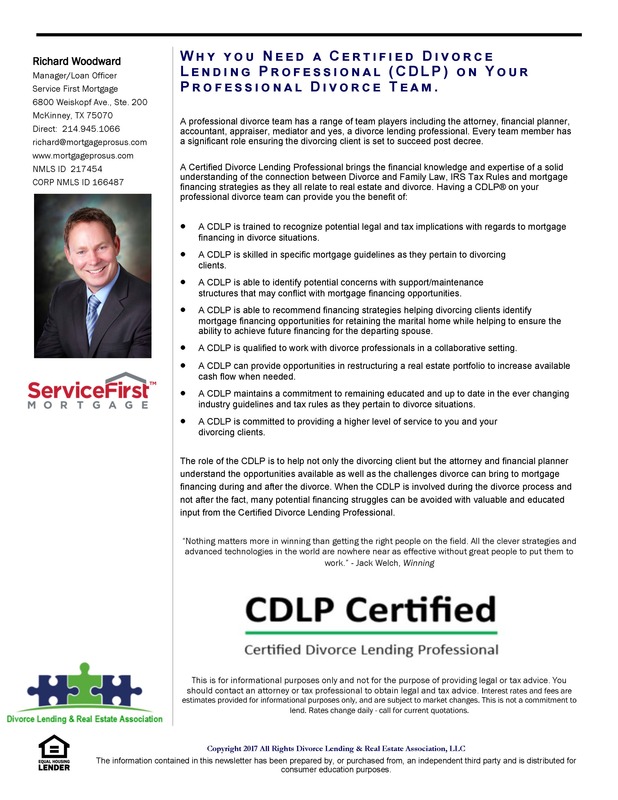 Involve a Certified Divorce Lending Professional (CDLP) in the early settlement stages and obtain a complete analysis of the mortgage financing requirements. This essential and necessary step can help provide a smooth transaction post-divorce and remove unnecessary burdens and frustrations.